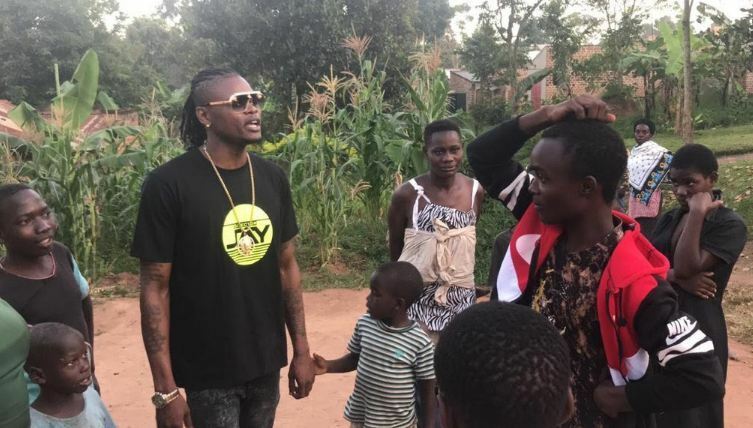 KAMPALA- Musician Pallaso real name Pius Mayanja has spent part of his Christmas by giving and inspiring less fortune children of St. Paul’s children’s rehabilitation center in Kyampisi. 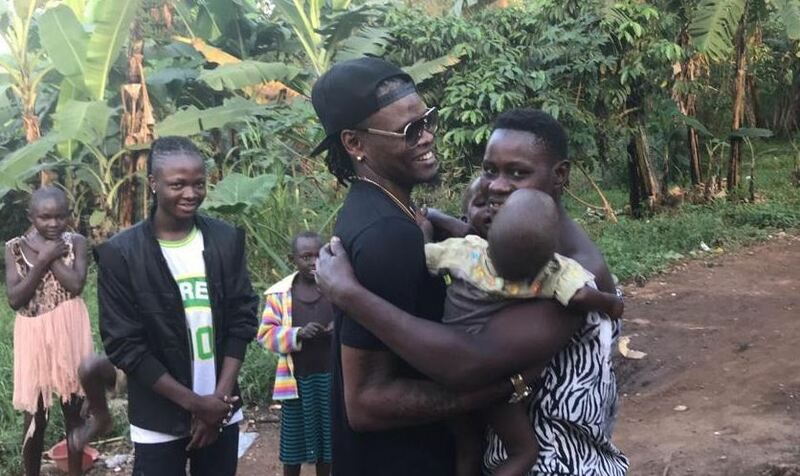 Pallaso alongside his team visited the rehabilitation centre Monday evening where he shared among other things; hampers, foodstuff and toys for the little ones. The Soma hitmaker said he came to know Kyampisi by a friend known as Racheal who told him that the place is full of innocent young souls. “I decided to go to Kyampisi because the area is one of the many areas living below the poverty line. I learned about the area through a friend Racheal and we learned this area is full of innocent victims from child sacrifice. I randomly decided it’s a good place to start and give them thought of a few gifts for Christmas,” said Pallaso. The team later visited a number of elderly members in the community, to share and bring smiles to their faces, as part of the Christmas cheer.